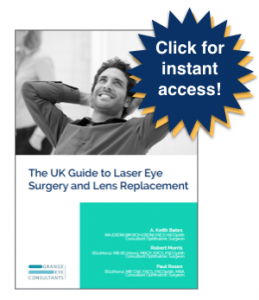 Cataract surgery is a relatively low-risk procedure which is extremely effective. In fact, it’s the commonest procedure which is carried out by the NHS and in fact worldwide. So we’ve got a highly effective procedure and when you have surgery really depends on whether you feel symptoms about enough for you to warrant an operation. By Grange Eye Consultants|2016-03-11T10:50:02+00:00September 29th, 2016|Cataract Surgery, Paul Rosen, Video FAQs|Comments Off on What are the risks of cataract surgery?